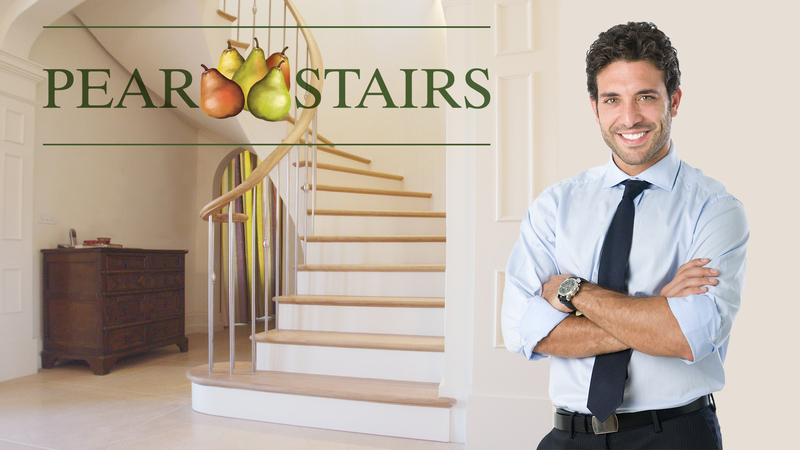 Pear Stairs is one of the UK's leading staircase design companies, with a wealth of experience. We have a dedicated team available to help bring your ideas to life. Just email us the style of staircase you want, along with your measurements or architect’s drawings. If it's easier, you can speak to one of our friendly designers who will be able to provide you with a drawing to suit your requirements. Alternatively, why not try designing your staircase yourself with our online StairCreator. Our team here at Pear Stairs have designed thousands of staircases, ranging from the problem-solving to the magnificent and the uniquely bizarre. All our staircase designs take into account fixed items such as windows and doors, restricted head height and compliance with building regulations. We are also able to match existing staircases as required. Pear Stairs have created some fantastic T-shaped, Z-shaped and curved staircases, all tailored to our customers' needs. With more than 100 years of experience to draw upon, we consider ourselves to be experts in our field and passionate about what we do. There is no staircase design beyond our capability and no problem we cannot solve. For assistance with your staircase design please give our team a call on 01938 553311. This complex stair design incorporates four flights of steps of varying lengths, created to incorporate two landings and two large balconies. The first flight (1-8) connects the first landing to the ground floor; this is joined to the second landing by a short flight of just two steps (9-10). The second landing is connected to the second floor balcony by a flight of ten steps (12-21). Joining up the second floor balcony to the third floor is the final flight of seven steps (22-28). The final flight exits onto a balcony on the right-hand side, where you can enjoy an impressive view of the full depth of the staircase. This staircase is one of our tallest ever, with a total height of about 4.6m (almost 16ft). Balcony stairs lend themselves to structures and homes with large vertical spaces, such as atriums. This T-shaped design incorporates three flights of stairs, connected by a single landing; creating a ‘T’ shape if seen from above. The first flight connects the ground floor to the landing step, to a total height of 1377.5mm (approx. 4ft) from the ground floor. The flights to the left and right of the landing connect the landing to two levels of the home, with the right-hand flight ending at 2422mm (approx. 4ft 11in) from the ground floor, and the left-hand flight ending at 2755mm (approx. 9ft) from the ground floor. The key benefit of T shaped stairs is that they grant access to multiple landings from one point of entry; a great option when you have large upstairs floor plans. This design is an excellent example of a bespoke curved staircase incorporating a turn of 150°. To achieve as clean and fluid a turn as possible, a curved landing was included between steps 10 and 12, allowing an uninterrupted curve over the entire flight. Because this staircase is enclosed on all sides, we used curved wall strings to mount the treads. The pictures on the right show another of our stunning curved staircases. See Case Study no. 2 for more details, photographs and design drawings. For this staircase, our customer required a design which would be compatible with the acute turn of the stairwell, without compromising on appearance. To fit the space, Pear Stairs designed a staircase with an acute turn of 38°. This was achieved by glueing together two triangular quarter newels (cut from large newels) to form a central newel post. This meant we were able to maintain the essential four-sided form without obstructing the staircase’s sharp turn. This enabled the central newel to support the balustrade, strings and treads on its widest side. The narrow point of the newel was removed after the staircase was completed, and a custom newel cap was produced especially to fit the resulting newel. By making it possible to install a central newel post which worked with the staircase’s required shape, we were able to design the attractive balustrade our client wanted without compromising on aesthetics. To finish the staircase, our customer selected a modern glass and stainless steel balustrade. Sometimes a staircase design has to be revised to compensate for the presence of an adjacent window. Most customers wish to avoid obstructing the light and view from a window, and will ask Pear Stairs to make this possible while sticking to the original brief as closely as possible. For this staircase, we produced a design which avoided the window by reducing the number of rises before the planned turn in the staircase. This meant that the second portion of the staircase sat below window height, allowing an unobstructed view and maximising the natural light available. The turn here was accomplished using winder steps. Pictured on the right is a good example of a staircase designed to avoid blocking a large adjacent window. See Case Study no. 154 for further details and photographs. To fit the requirements of our customer’s interior space, we turned to a Z-shaped design. This can be really useful in small or awkwardly shaped spaces. A Z-shaped staircase incorporates two parallel 90° turns, creating a shape similar to that of the letter ‘Z’ if seen from above. This staircase is enclosed by walls on all sides, therefore a wall string to mount the treads was used. The customer opted for a wall-mounted mopstick handrail. To achieve the two 90° turns, winder treads were used as opposed to landings. This saved the customer valuable space by incorporating the turns into a single flight of stairs, rather than using four short flights and two landings. The staircase pictured on the right is a beautiful example of a Z-shaped staircase in the home.